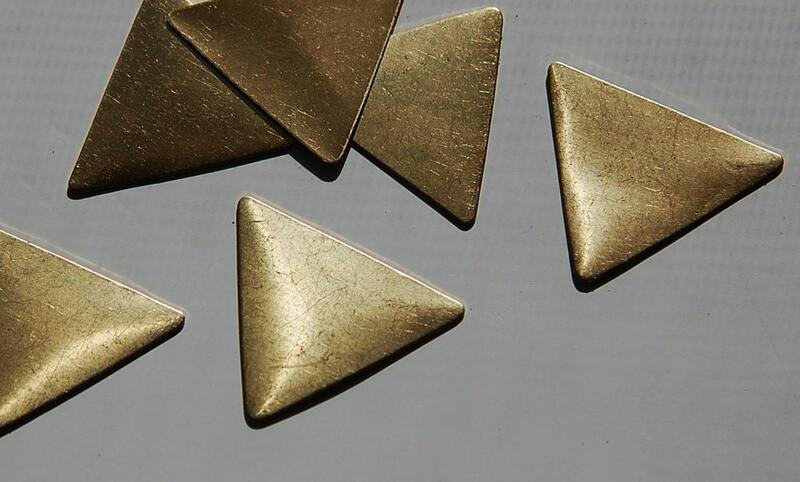 These are vintage raw brass triangles. They do NOT have a hole. These measure 35mm along the 2 shorter sides and 38mm on the longest side. You will receive 6 of these. I have these listed with one hole also.